The Libbey 5205 mug has a 10-ounce capacity. 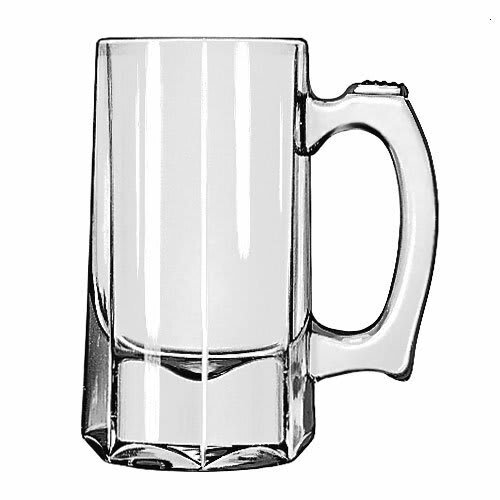 It has a handle that makes it comfortable to lift and carry the glass when it is full of beer or other drinks. Comfort is provided by the thumb rests on the handle, which also keeps the user's hand separated from moisture on the outside. 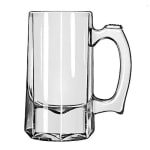 This Libbey 5205 mug stein has a thick design that withstands regular use in commercial establishments.